Maurice Ivan Jones (Maury) born September 2, 1927 in Virden, New Mexico passed away at home on March 13, 2018. He is survived by his wife of 65 years, Minda Martineau, and their children, Janice Wilstead (Bob), Rondal Jones (Kaylene), Kyle Jones (Amy), Vearle Jones(Pam), Minda Bates (Brian), Melitza Lloyd (Steven) and Juleen Jones. He cherished his family of 40 grandchildren and 57 great-grandchildren. Maury served in the Navy in WWII and the Army in the Korean War, receiving the Bronze Star for Valor. His community service was extensive, including helping write Mesa’s City Charter, Governor’s Hunger Council and founding member of East Valley Food Bank. In 1985 he was Mesa’s Man of the Year. 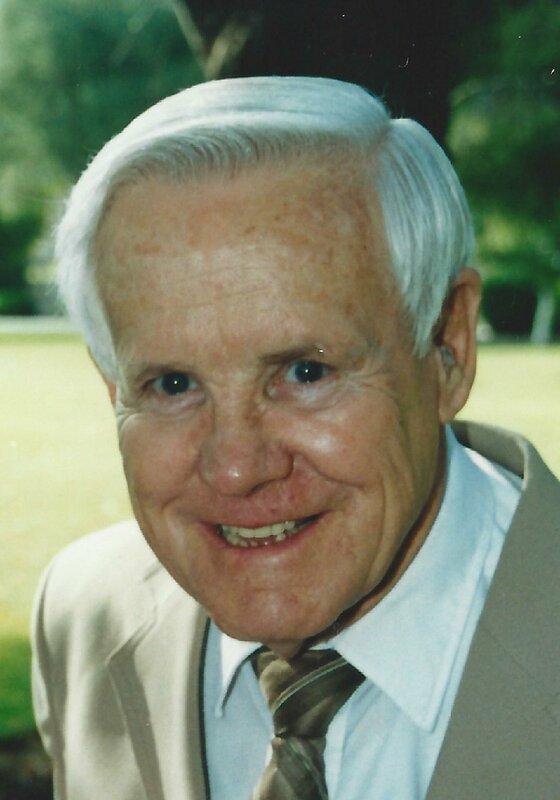 Maury loved the Lord and faithfully served in numerous Church callings, including missionary to Canada, Bishop, and Director of Temple Youth Guides. A viewing will be held on Thursday March 29, 2018 from 7-9 PM and 9-9:45 AM on Friday March 30, 2018 at the LDS Solomon Building at 977 E Broadway Rd in Mesa. Funeral Service will follow at 10 AM. Brother Jones was probably the closest to being a surrogate father to me than anyone. He and Minda took my mom and my sisters up to their cabin many times so that my mom who was a single parent could have a day off. In my teenage years I worked in his office putting tax returns together with his daughter Melitza. He would make sure I got a ride over and it gave me a way to ear some money. Then there were all the hikes and activities we had with the young men and young women. He always had such fun things planned and I really enjoyed getting out to nature. He was definitely in a league of his own. You really made a difference in my life brother Jones. “Dad” Jones was one of the most gracious, loving , forgiving and compassionate person I have ever met!😌 He will be missed by those whose lives he touched, especially his family! However he is in a better place and complete again, feeling free and in the presence of those who have passed before! He will be missed by all those who loved him and those he loved and by those whose life he has touched! To the Jones family you have my deepest condolences at the loss of your father and grandfather. I can see where Kyle gets his service from it is something that has been passed down from generation to generation. May God bless you and this time of Sorrow may God be with you until you meet again in that great and glorious Eternal Kingdom. My namesake, Uncle Maury, was truly a great man. I am proud to wear his name. He was Maurice Ivan Jones and I am Maurice Wayne Jones. In the family they called us “Maury Ike” and “Maury Wayne”. Rest in peace, uncle. Looking forward to hugging on you in the hereafter. So sorry to hear this, prayers are with you and your family! God Bless each and everyone of you! Your friends Becky and Gary Franklin.